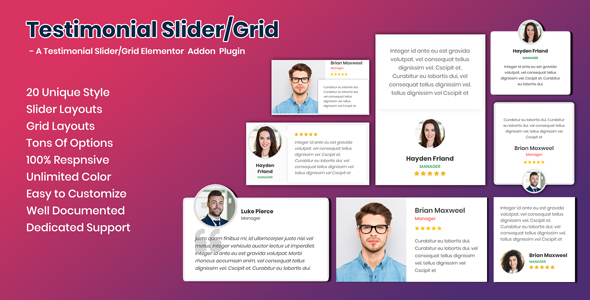 Visual Composer addon to display client testimonials. 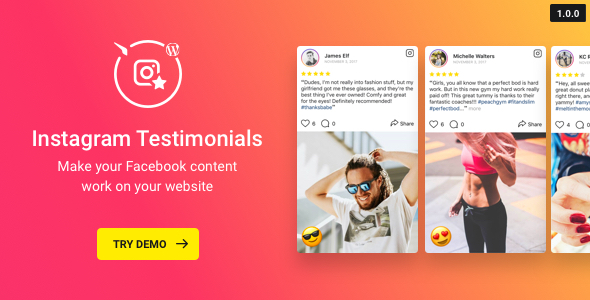 Want to show attractive client testimonials to your website ? 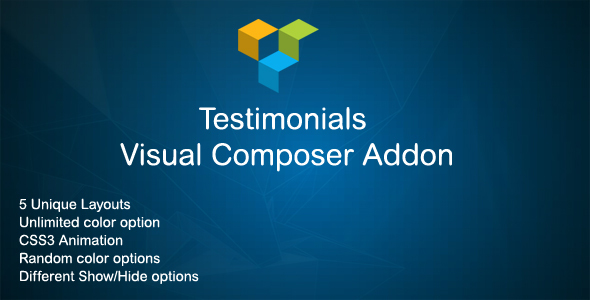 Jag visual composer testimonials addon lets you add testimonials blocks to your website with various options. 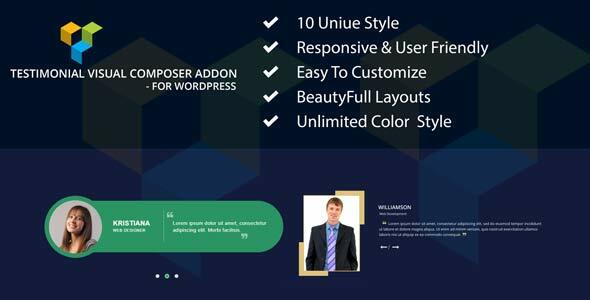 There are 5 different elegant theme designs. You can select any color combination you want. 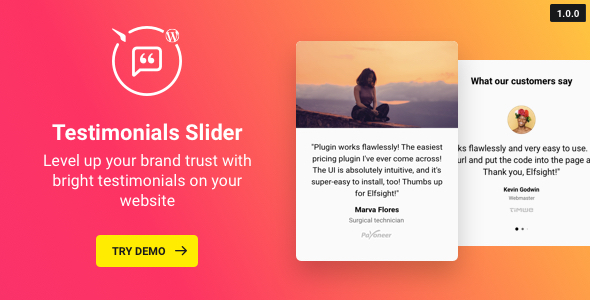 Option to display client information. 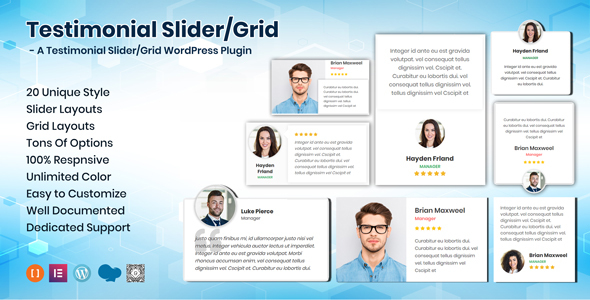 Hide/Show Rating.